Identity thieves are hitting more than your credit score. So, how do you protect yourself in the Information Age? Brian Conroy, of Savant Capital Management, offers a few tips for outsmarting thieves. Mr. Jones was cruising down the interstate, obeying all traffic laws, when he was pulled over by a state trooper. Baffled, he was informed that he was wanted on an outstanding warrant from a state he had never visited. He tried to explain that there must be a mistake, but the trooper wouldn’t hear of it. The internet is brimming with stories of innocent people mistakenly arrested due to identity theft. Many people think when their identity is stolen it’s just a matter of clearing up their credit. The dark side is that your identity can be used by someone committing a crime. The use of your identity to obtain credit and steal from lenders is just the beginning of your problems. Identity theft now is being used to obtain jobs, file for income tax refunds and cover for crime sprees. The IRS uses your Social Security number to track your earnings and taxes paid. So how do you protect yourself in this age of readily available information that’s floating around? Keep in mind that the IRS will never contact you by telephone, email or social media. They will send you a letter through the U.S. Mail. If you receive a letter from the IRS, you must act quickly. If someone is using your Social Security number to obtain a job, the IRS will likely contact you about missing income on your tax form. If the thieves beat you to filing for the refund, you will receive a letter stating that more than one return was filed. One way to protect yourself is to obtain your Social Security benefit statement on an annual basis and check your earnings report to make sure they are accurate. You should also obtain your free credit report once a year. 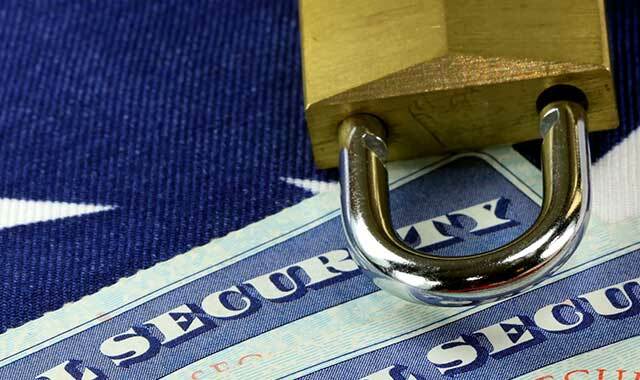 If you feel your Social Security number is being fraudulently used, immediately contact the IRS. They have specialists trained to help you correct your tax situation and get you any refund you are due. According to the IRS website, there are more than 1,800 active cases of identity theft for refund fraud – and the number is rising. Repairing your identity can take upwards of 800 hours of your time and energy. After you contact the IRS, the next steps are to put a fraud alert on your credit reports and create an identity theft report by filing a complaint with your police department and the Federal Trade Commission (FTC). To better protect yourself, keep paper copies of your taxes and personal information locked up. If you keep electronic files, make sure they are encrypted, and save a backup in case of a hard drive crash. When you are ready to dispose of your computer, wipe the hard drive clean. Keep in mind that deleting the hard drive will not remove the information. There are special utility software programs that would be worth the money to use prior to disposing of any electronic devices. Make sure any paper backups are shredded properly. Be vigilant about those with whom you share personal information, especially your Social Security number. If no business reason exists to provide this, do not do so. It’s getting easier and easier for information to fall into the wrong hands. Be proactive, stay alert and know what to do if your identity is compromised. Brian Conroy is a financial advisor with Savant Capital Management, which maintains locations in cities including Rockford, Geneva, Hoffman Estates and Naperville. He can be reached at (866) 489-0500. This entry was posted on Friday, July 29th, 2016 at 12:00 pm	and is filed under Personal & Financial Strategies, Top Posts. You can follow any responses to this entry through the RSS 2.0 feed. Both comments and pings are currently closed.